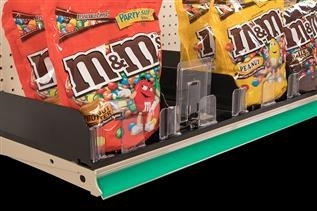 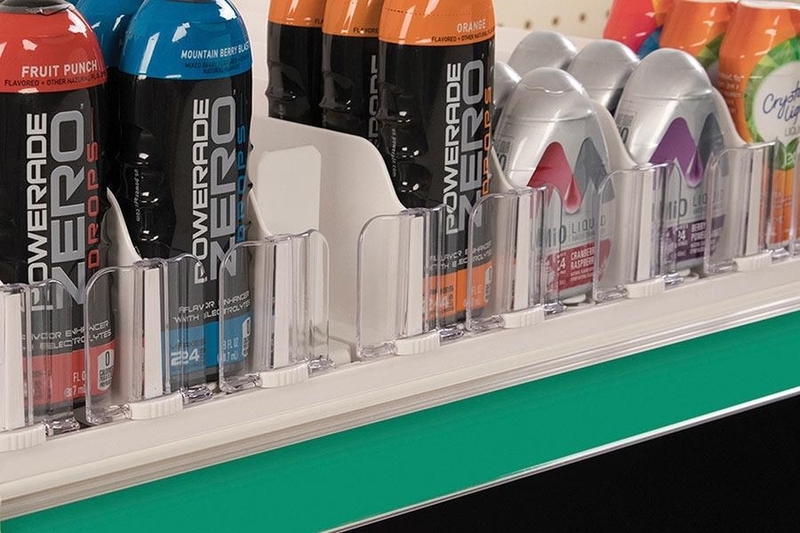 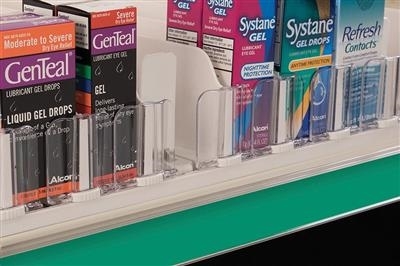 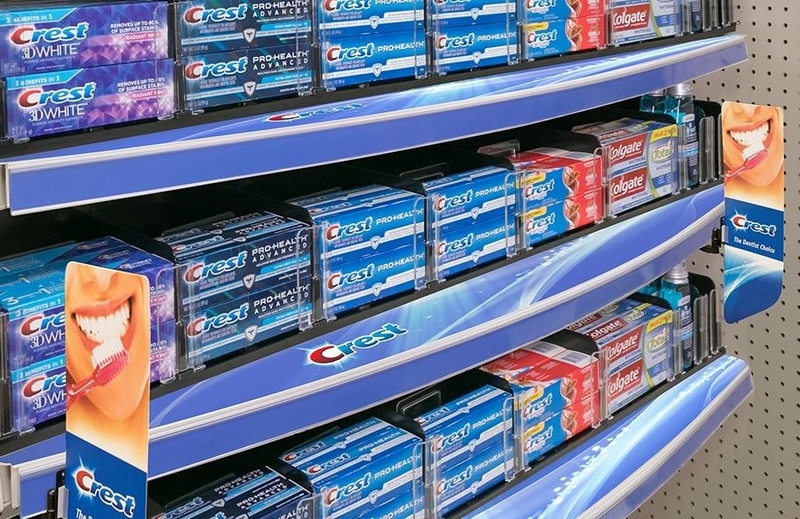 The Power Zone® Kwik-Set™ Self-facing System (also known as a pusher system, or pusher track) is a labor-saving, component-based merchandising system flexible enough to accommodate the widest range of product shapes and sizes throughout the store. Incorporating both center push and side push technologies, while also offering the flexibility to order in bulk or pre-assembled, the System provides a single solution for total self management. 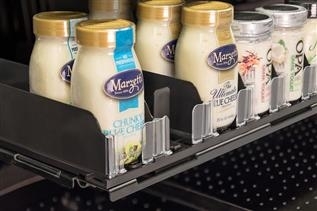 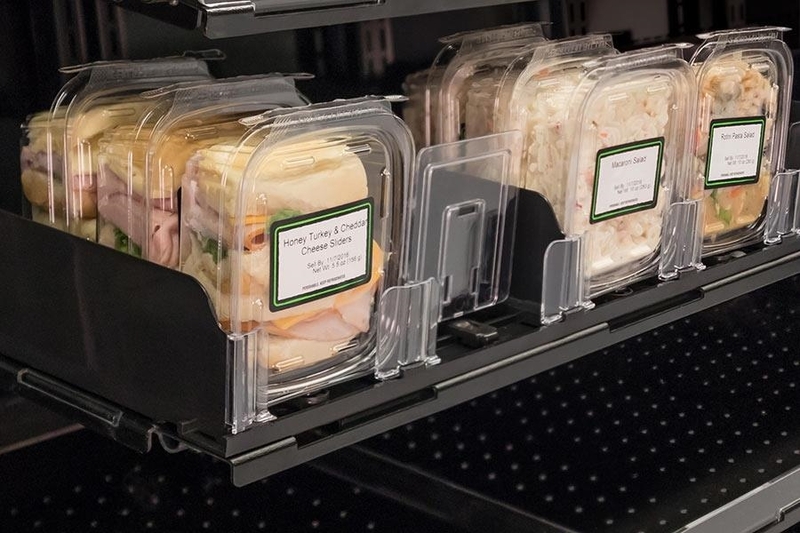 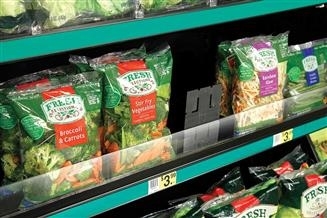 To further increase the convenience and labor savings of self-facing, the Tracks and Dividers can be easily added, removed or adjusted by sliding along Front Rail - all while product remains on the shelf.